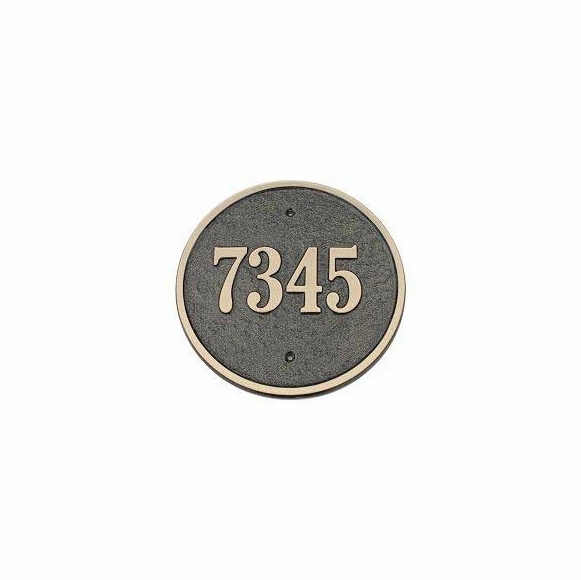 Circle Address Sign - - Large 10" circular house number plaque personalized with the address you specify. Surface mount on any exterior wall. Made in USA. Dimensions: 10" x 10"; weighs 7.5 pounds.